Teeth Whitening Orlando - Brighten your smile with Zoom! Teeth Whitening in Orlando. Learn more about our Teeth Whitening services in Orlando by visiting our website. Russell Hamarnah, DMD, is an Orlando dentist offering Zoom teeth whitening to patients who want a cleaner, whiter smile. 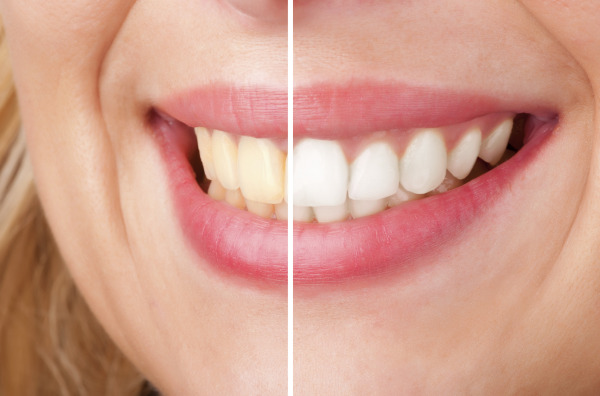 Teeth bleaching is a simple process that changes the color of your teeth, brightening your smile. Teeth whitening is ideal for patients with caffeine- or smoke-stained teeth or yellowed teeth due to the natural aging process. Dr. Hamarnah offers Zoom in our Orlando cosmetic dentistry office as well as take-home gels and trays. The in-office Zoom teeth whitening process produces visibly whiter teeth in one day. Zoom in-office teeth bleaching takes about 45 minutes and can whiten teeth by up to eight shades. Zoom uses a special light to speed the whitening process. The take-home teeth bleaching process is done by wearing gel-filled trays at night while you sleep. You'll do this for several nights in a row (usually one to two weeks), allowing you to see immediate results as your treatment progresses and stop once you've achieved the desired shade of white. Dr. Hamarnah custom makes these trays for you using impressions of your teeth. Simply come in for a dental exam, have your custom trays made, and take home teeth whitening gel and trays. From there, your treatment takes place in the privacy of your home. Many people opt for teeth whitening before a job interview, wedding, family reunion, photo shoot, or other special occasion. Others want to bleach their teeth "just because." No matter why you want a brighter smile, Orlando dentist Dr. Hamarnah can help with in-office Zoom or take-home teeth whitening. Whether you want the dentist to whiten your teeth in our office or would like to do it yourself using custom trays made to fit your teeth, bleaching your teeth is a non-invasive solution that can produce dramatic results. Schedule an appointment today.